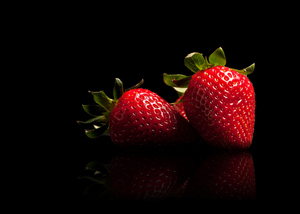 The freak April weather has caused a surge in deliciously sweet strawberries. Not only does that mean we can enjoy the plump fruit a little earlier this year but it means we don't have to import them from other countries. Fingers crossed for the predicted heat wave that's supposed to hit from this weekend. Try this delicious Daiquiri for two. Simply pour all ingredients in a blender and blend at high speed for about 30 seconds. Strain into a cooled cocktail glass and decorate with a strawberry. Serve with a straw.